Celtic kicked off their Scottish Premiership defence with a solid win over Livingston on Saturday afternoon, emerging as 3-1 victors at Celtic Park. With the club primarily focused on qualifying for the UEFA Champions League this summer, these early league fixtures could be seen by some as a bit of a distraction, but Brendan Rodgers named a strong eleven for the match against Kenny Miller’s side. One of the changes he did make was bringing Jonny Hayes back into the side as a replacement for Kieran Tierney, who was rested. The Irishman was making his first competitive appearance for the club since breaking his leg against Dundee last December. His fine cross broke the deadlock minutes into the match, finding Tom Rogic who netted a rare header. Given his lengthy absence and the fact he was tasked with producing a more defensive minded performance than he is used to, he can be happy with his display before eventually being substituted off an hour in. Enjoyed that today. Rogic MOTM. Good to see Johnny Hayes back. Adds something that we tend not to have which is a decent ball into the box. Good to see Jonny Hayes get a good run out ???? Good to see Jonny Hayes back! Honestly think he’s got a part to play this season. Great SPFL player ???? Good start so far. Good to see Jonny Hayes back after long term injury. Think he could have a good season for us. ???? ???? Thought Hayes played well. First game back ffs. How do we expect people to progress at the club if we have no patience. Gives a good option on the left. Doesn't always need to cut inside. Very good delivery at times. Cross for the 1st goal ???? I must have missed him having a bad game, yesterday. As far as I could see he contributed pretty well and played his part. 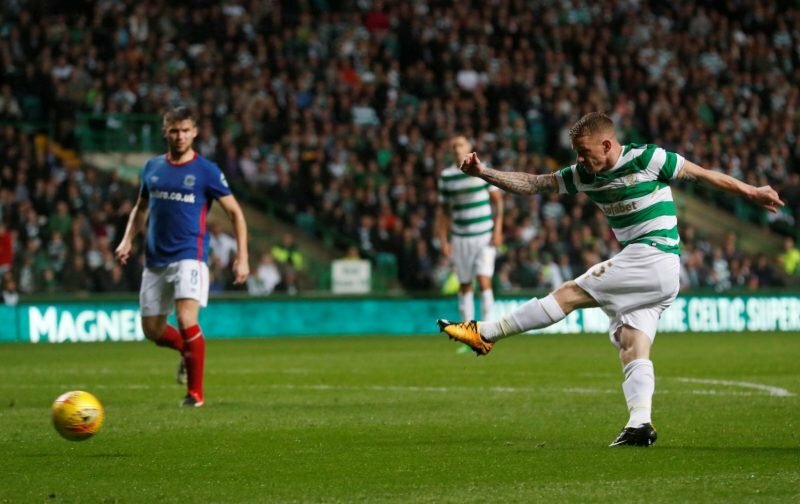 He put in a delightful cross for Rogic to score the first goal. I coud not believe that some Celtic fans thought Jonny Hayes had a bad game yesterday ! How stupid are you guys ! Thank God we have someone who actually knows about football in charge of the club. I despair at some of the negative stuff that people put out there. I have a simple bit of advice to the death eaters, get F==k away from my club. You are nothing but a drag on our success. If you cannot enjoy what is happening just now then lock yourself in a F==king cupboard come game time and do not dare to come near the park as you are helping the opposition ! If you love your club then do not pull us down. Read Brendan’s book on how negativity affects the players ! I would rather have 30,000 positive supporters than a full house containing one negative B——. Get a grip and support your club. If you want to mouth off then go see the local basketball team and stop holding back the best team in the world bar none !